Home Lifestyle Moonrocks Will Take You To Outer Space! Moonrocks Will Take You To Outer Space! Moonrocks are a relatively simple, yet potent, cannabis treat that you can make for yourself whenever you don't just want to get high, you want to be in outer space! Moonrocks are a mystery to man. Their dense form, containing worlds of mystery and excitement just in itself. Spacemen and stoners think very similarly when considering moonrocks, but they’re not usually talking about the same thing. Moonrocks are a smokable treat that is formed by the simple combination of a nug, hash oil, and keif. The first step to making moonrocks is to take a look at your bud and find a dense nug, or part of a nug. Remember, the more surface area to your nug, or the more nugs you’re trying to turn into moonrocks, the more keif and hash oil you’ll need to have prepared. After selecting the dense nugs you want to transcend into the livelihood of moonrock(ness), you will need to make them even stickier with some hash oil. You’re going to want to have an easy way to drop small amounts of oil onto the nug, I recommend just a regular tincture dropper used in medicine. Throw a couple drops of oil onto your nug and spread it around the entire surface area. You don’t want the oil to be dripping off of the nug, but you want to make sure it is totally covered in that sticky goodness. Now that your good n’ sticky is now good and sticky, it’s time to add on the keify topping. Now, you’re not actually going to want to top your oiled bud, but rather think of it like you’re mixing in some chicken in a bowl of breadcrumbs. Get a little with how much keif you want to use and drop in your nugs, you can use a spoon or tweezers to move the nug around the keif and make sure it gets covered all around. If you feel like your nug is oil-heavy, you can cake on a little bit more keif since it will stick, but otherwise just go for covering the surface area. 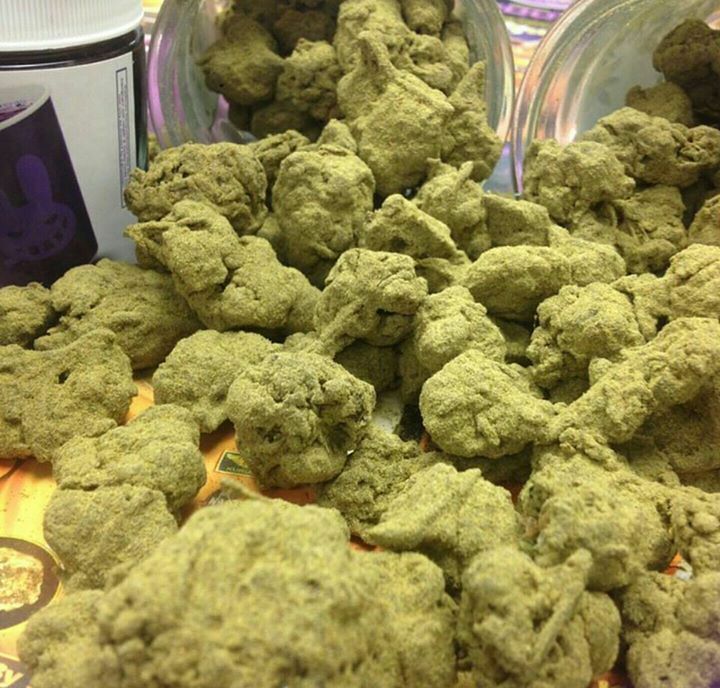 After all of your nugs are wet keif-covered moonrocks, just wait for them to dry! Once those bad boys are all dry and ready for toking, the only thing you’re going to have to worry about is conserving those keify little bastards until you have enough supplies to make some more. When smoking your moonrocks, I recommend using dry-toking pieces, such as your lucky sherlock or fat spoonbowl. Moonrocks are definitely out of this world! What other easy cannabis creations do you enjoy making? Let us know in the comments!